It is an exciting time when your growing baby starts communicating more intentionally around his first birthday. He may know how to shake his head no, respond to questions by pointing, and even saying a few easy words. At 12 months your child is becoming much more social and she can interact with others by imitating noises and learning new words. Children at this age enjoy books with rhyming text and silly sounds. As you read aloud, repeat the rhymes or noises and see if your child says them along with you. Ask questions about the book. When you see a picture of a cow ask, “What does the cow say?” You can also pause before saying the last word on each page and see if your child fills in with a sound or word. Here are some books with text just right for your one-year old. They all come in a sturdy board book format so there are no paper pages to rip or crumple and your baby can even teethe on them without too much damage. See which books your child likes best. “Mr. Brown Can Moo, Can You?” by Dr. Seuss. The board book version of the original is an abbreviated story still filled with buzzing, banging, and mooing sounds and asks the child to make the sound on each page. When your child gets older, you can graduate to the longer version of the book. 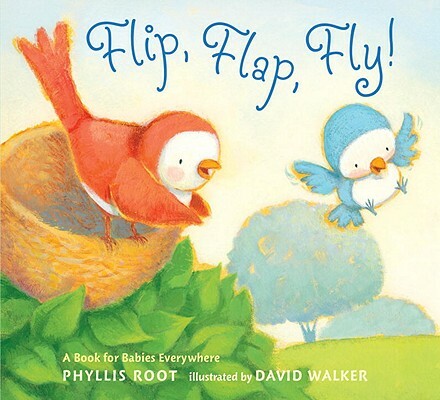 “Flip, Flap, Fly!” by Phyllis Root, illustrated by David Walker. A baby bird leaves his nest and sees many other animals on his first adventure in flying. He sees a baby snake that ziggle, zaggle, wiggles, and a baby otter that sloop, slop, slides, along with many other baby animals with fun-loving words to say on each page. “Itsy, Bitsy Spider,” a Child’s Play book illustrated by Annie Kubler. There are many books that retell traditional nursery rhymes, but the Child’s Play series are all board books that include motions to do while reading and joyful illustrations of smiling children. They lend themselves to snuggling and giggling with your baby. “Moo, Moo, Brown Cow! Have You Any Milk?” by Phillis Gershator, illustrated by Giselle Potter. This story is based on the cadence of the traditional nursery rhyme, “Baa, Baa Black Sheep” but has many new verses that fit together to make a farmyard frolic. Your baby will love the rhythm and rhyme. 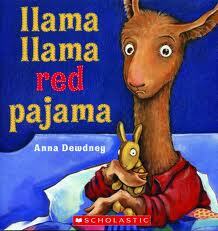 You can try to just read this book aloud, but you may end up singing it! “I Went Walking” by Sue Williams, illustrated by Julie Vivas. Each page starts with “I went walking,” with an illustration of child. And then asks, “What did you see?” We see a girl discovering animals, one by one, on her walk. When you read this book with your child, make the noises of each animal as they appear in the story and soon your child will be making the animal noises with you.